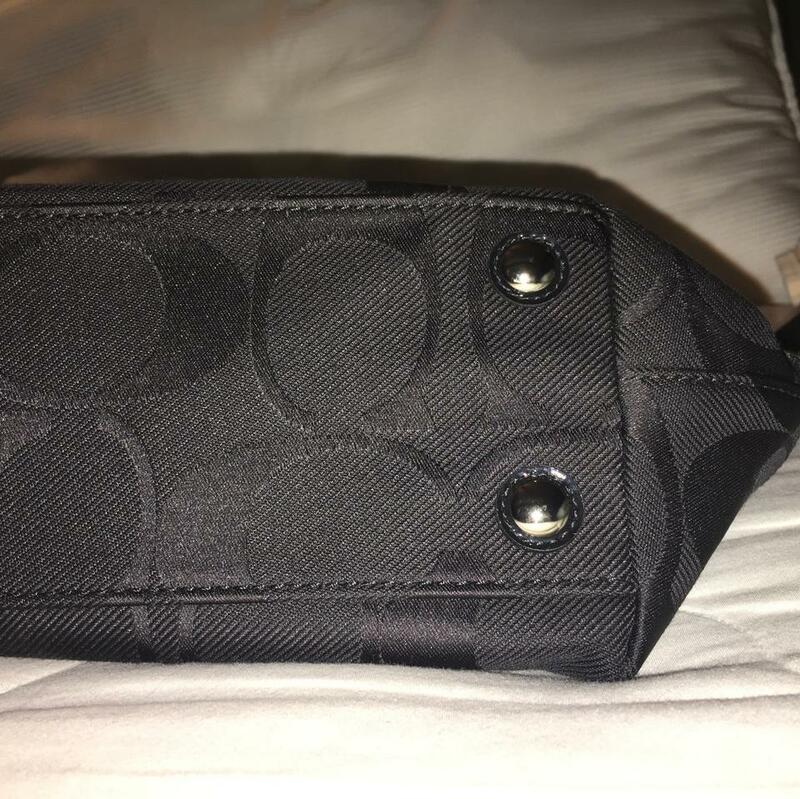 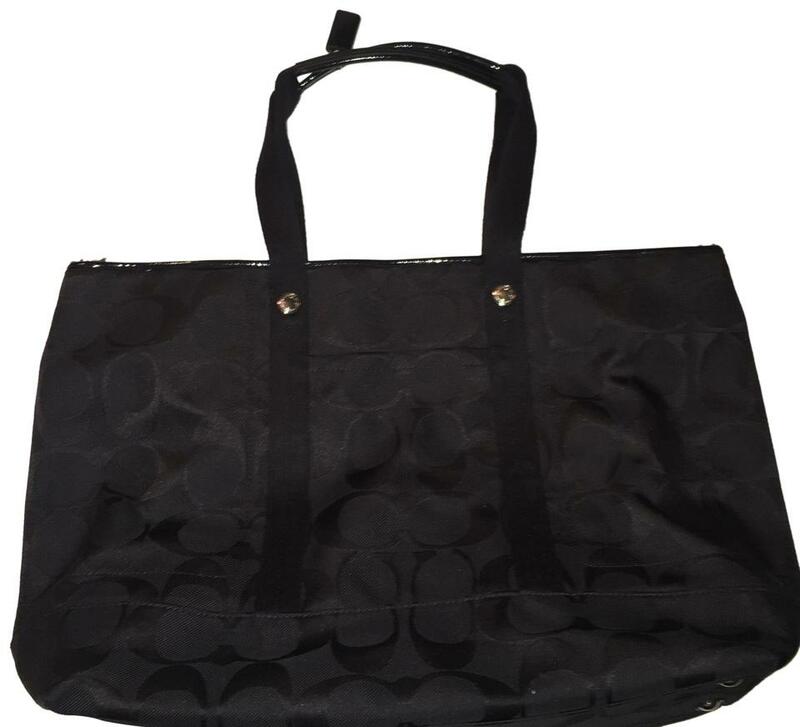 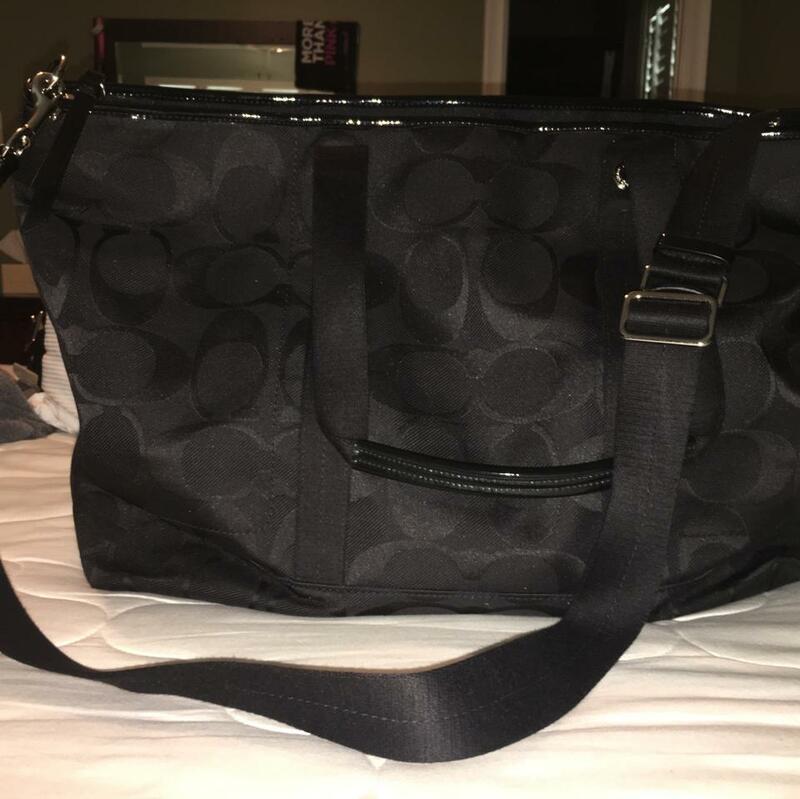 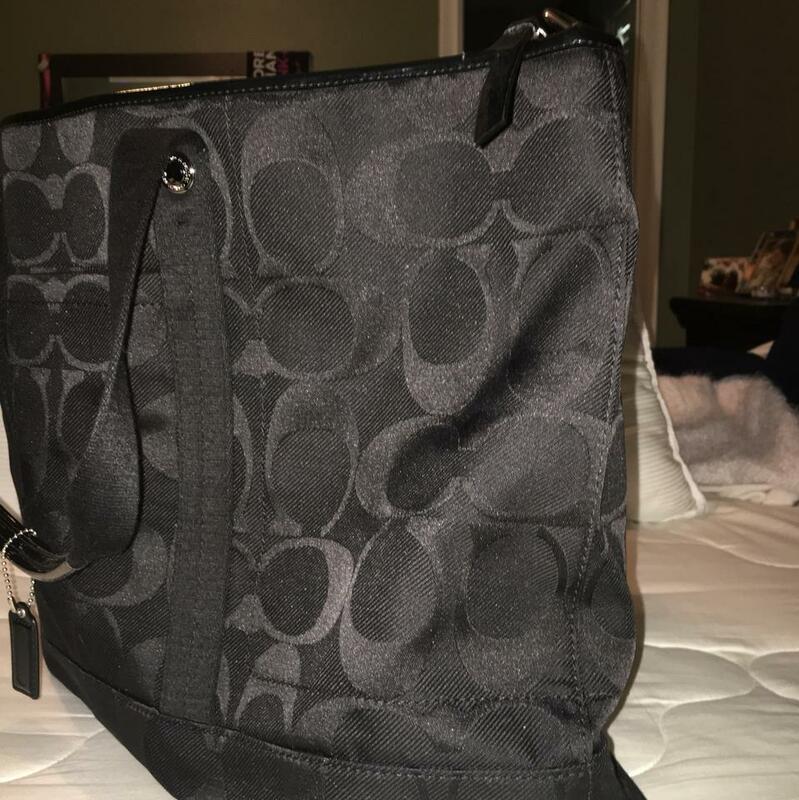 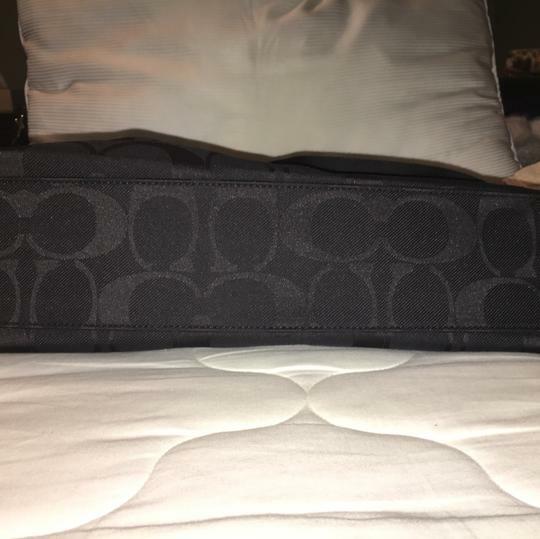 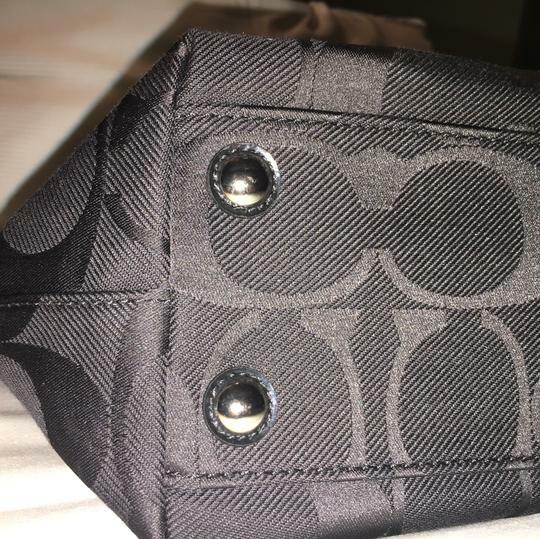 Coach - New without tabs, never used, black fabric travel tote. 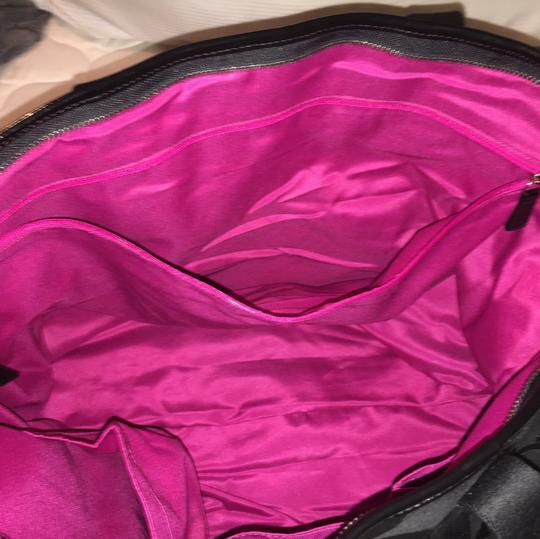 Beautiful hot pink satin interior. 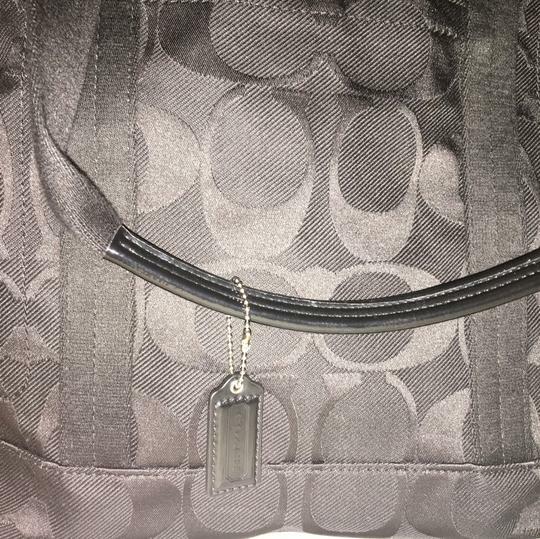 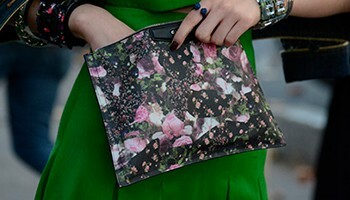 Long strap included. 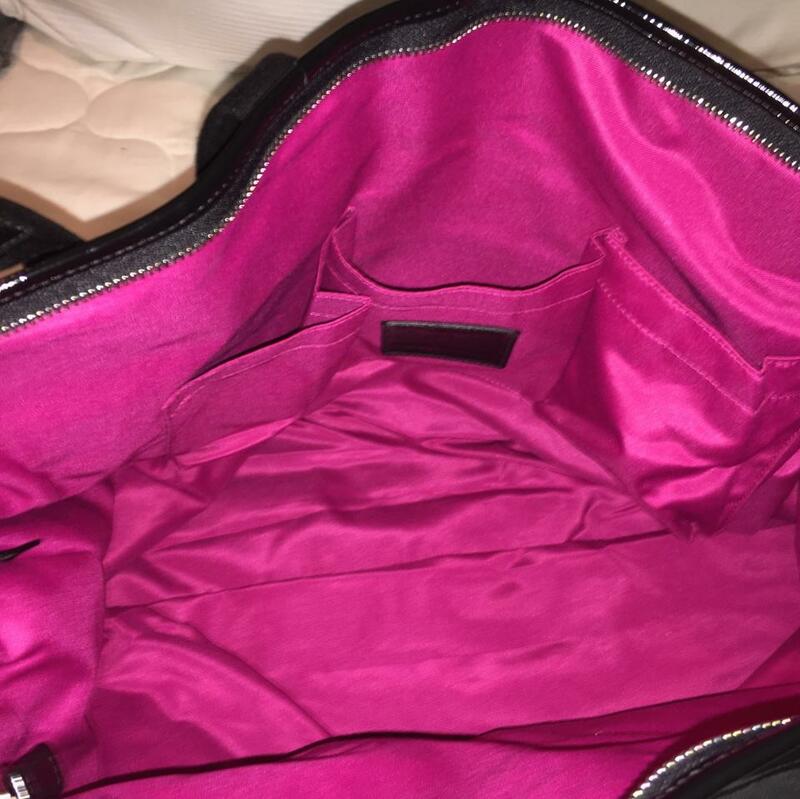 Great to use as a carry on for plane travel. Will hold a ton of stuff. 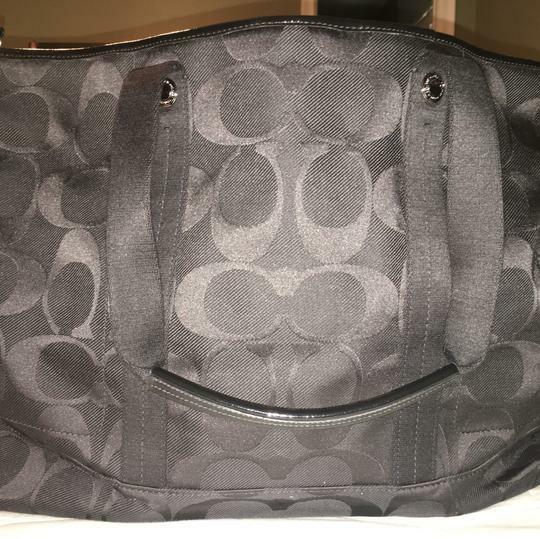 Extra-large. Strap drop 9". Smoke free environment.